I have always been passionate about improving other people’s lives. Since joining the Closet Factory team in 2013, I feel blessed to have had the opportunity to create calmness and beauty in my client’s homes over and over again. It always brings me inner happiness to see my clients happy! New construction design and remodeling/renovations are my specialties. I am addicted to the scent of freshly cut pine wood while a house is being framed. Designing and building two homes as well as watching HGTV shows for many years inspired me to leave the medical field and never look back. My degree & career background in computers allows me to create visually & functionally appealing 3D designs for virtually any space. 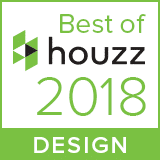 I was flattered when Houzz awarded me “Best in Service” for 2016 and 2017. But honestly, I think my greatest compliments are when my clients call me back over to do my “magic” again for other spaces within their home. 1) Before you decide to purchase a larger house or build on an addition, consider how unused walls and extra bedrooms can be repurposed for your desired look, function, and storage needs. 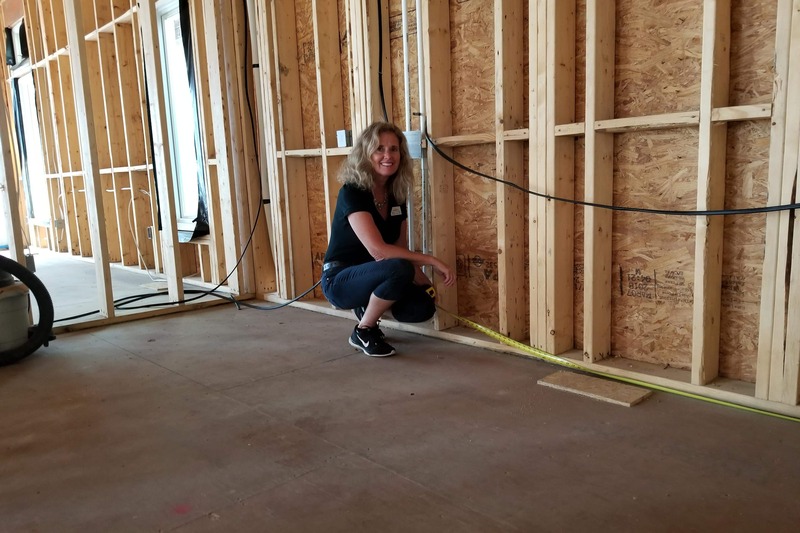 2) When building a new house or renovating your existing house, it is always a good idea to have your cabinet designs and lighting plans finalized before the electrical, plumbing, and HVAC contractors start. Relax and enjoy the entire building process… the journey is just as fun as the destination. 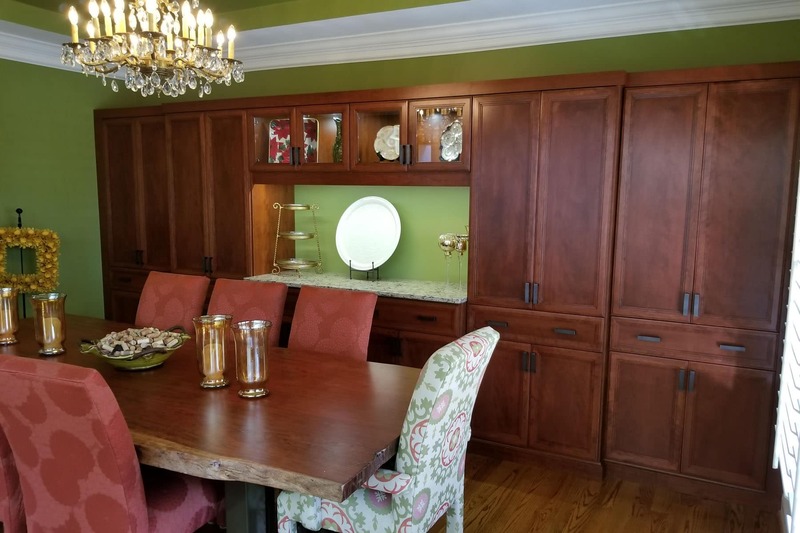 3) Consider the lighting in your space as well as the new custom cabinetry. It will make an amazing difference … colors become true and your mood instantly becomes brighter! At the minimum, replace the Edison light bulbs in your light fixtures with a natural daylight colored LED bulb. Bonus: Reduction of electricity usage. “We have had a wonderful experience with Closet Factory. 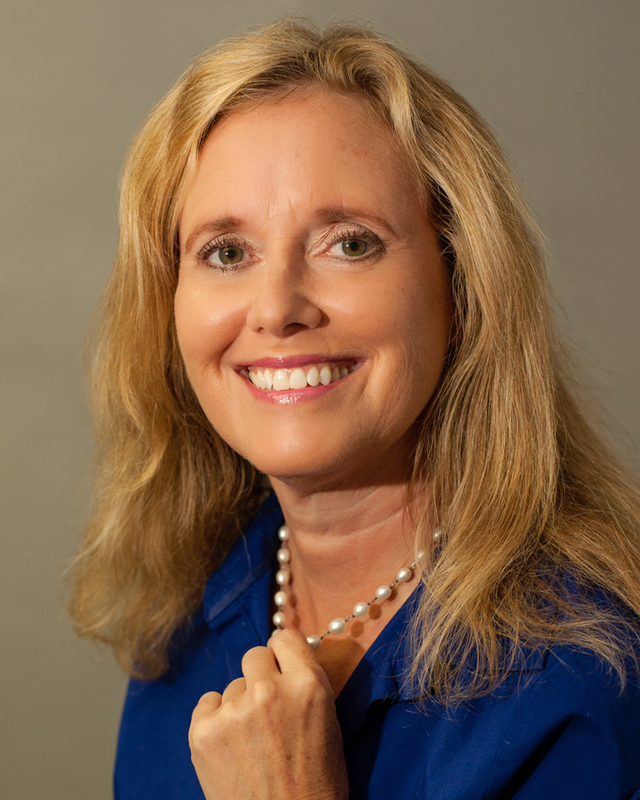 Karen Fleming, our representative, is nothing short of a miracle worker. She was able to transform our small walk-in closet into a well-designed room meeting all our needs for hanging items as well as shelves and cupboard space. I approach each individual space with an open and inquisitive mind. I like to first ask why my client is unhappy with the space (even when I can visually see why!). Then I spend a lot of time listening to the client’s needs/wants and discuss the intended use and function of the space. I also like to ask what items are staying and which ones are going away while I take inventory of what is stored in the space. The collaboration of the design is a lot of fun and is always focused on achieving the client’s goals. 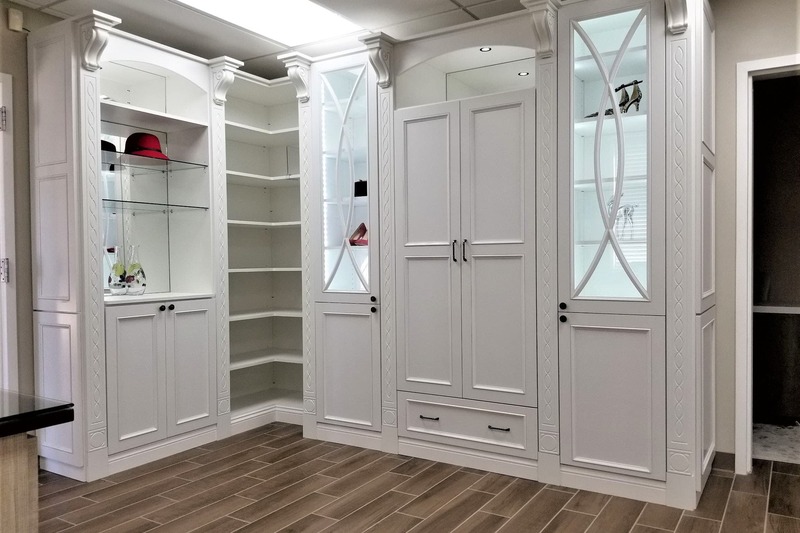 One of the biggest obstacles I had to overcome was designing a walk-in closet with very short knee walls and multiple sloping ceilings with several different pitches. The client had contacted 2 different builders to remodel his closet and neither wanted to take on the project. Instead, they told him to call Closet Factory and the rest is history! 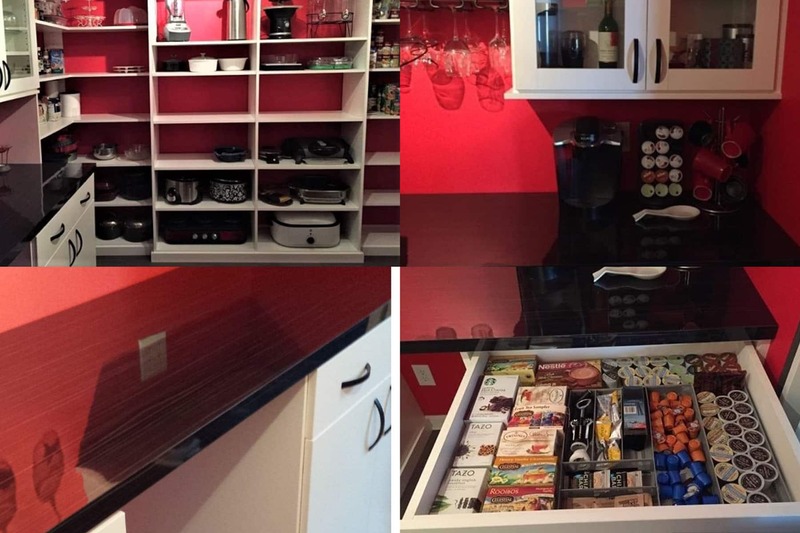 During the design process, I love to show pictures of other clients’ spaces to help them make specific decisions. If the client has the time during the initial consultation, we will collaborate together on a beautiful 3D design on my laptop. Or a follow up 3D design review is set up for a later date at the showroom. It is my goal to utilize every available square inch of the client’s space and build the right solution at the right cost. 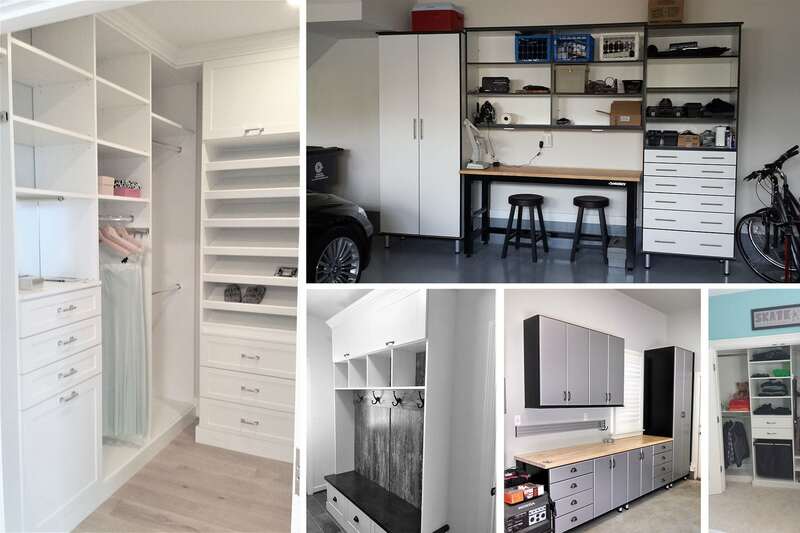 We have an extensive product line which allows the client to add any aesthetics or accessories to achieve the exact look and function he/she desires. The client’s design is manufactured locally here in Virginia Beach with locally supplied industrial grade materials and comes with a Life Time Transferable Warranty. When I walk up to a client’s home, I make a mental note of the exterior style of the client’s home. As I am shown various spaces within the home, I take note of the client’s décor style, color schemes, lighting, personality, and lifestyle. These are clues to what the client already loves (unless they specifically tell me otherwise). There are many factors involved with designing a home office to improve productivity (i.e. ergonomics, task lighting, desktop workflow and function, storage of documents and supplies, computers, printers, & wire management). 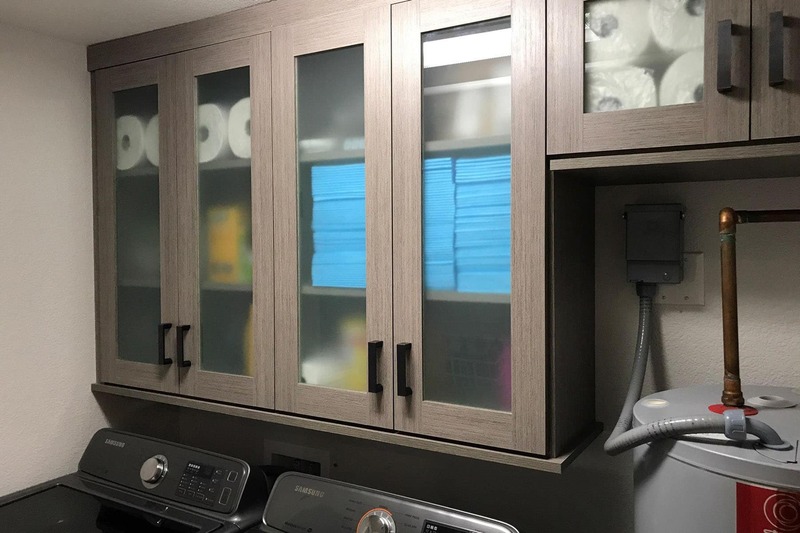 In my experience, I have found that easy to reach open shelving, cubbies, slide out shelves behind closed doors, and custom drawers/file drawers creates the best solution for improved productivity. A well-lighted, large desktop at the height you want is bliss!!! I have noticed a trend in new construction design (and in remodels/renovations as well) that the Master Bedroom will showcase the bed and nightstands only. 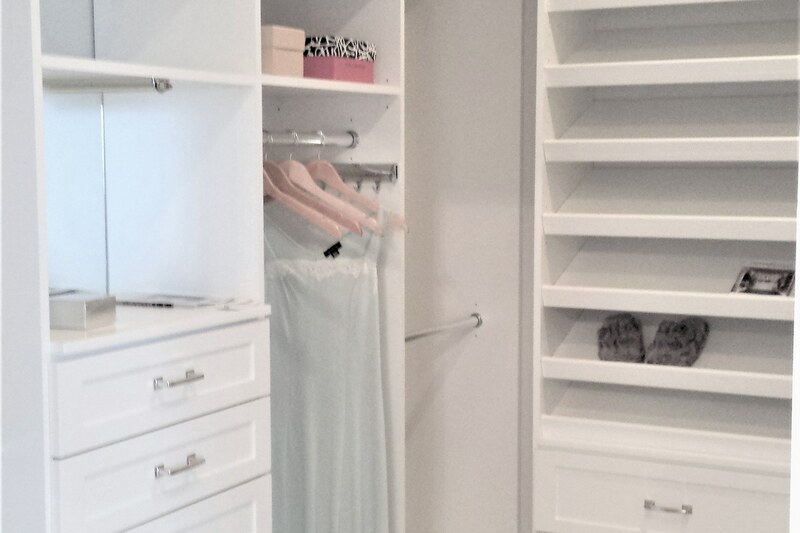 The Master Closet now functions as the dressing area and is designed to contain the clothing storage drawers previously seen in the bedroom. Another trend I have experienced is the “less is more” minimalist design décor. 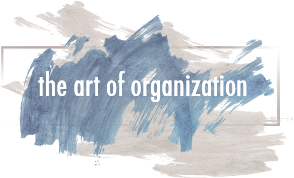 People love and gravitate towards the simple, calm, and uncluttered look and feel when they walk into a space.